Bongos is owned by Gloria and Emilio Estefan and as the name suggests serves Cuban food. Specialities include “Cubana” (a Cuban sandwich) and Paella de Mariscos (a seafood paella). 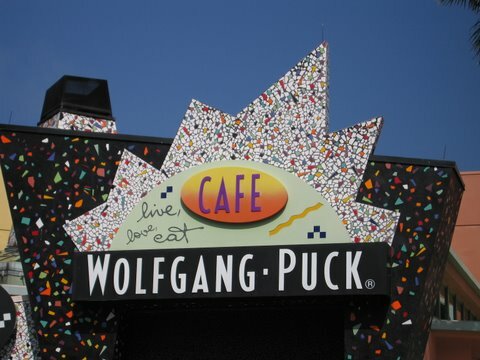 The restaurant is in the shape of a huge pineapple, two storeys high, and inside mosaics of hand-painted murals are reminiscent of Cuba in the 1940’s and 50’s. Even the bar stools are shaped to look like conga drums. If you’ve never tasted Cuban food now’s your chance, the cocktails are great and the entertainment’s groovy too! If you love seafood this is the restaurant for you. The restaurant is aboard an old paddle wheel boat and the atmosphere is very friendly. 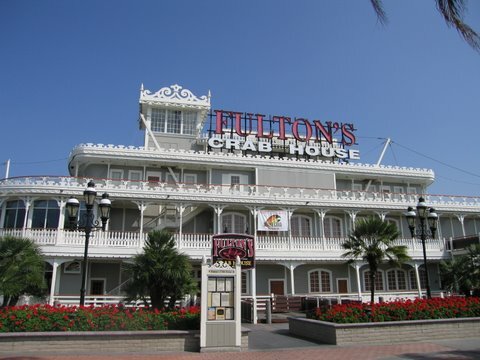 Fresh fish is flown in daily and specials include Alaskan Crab, fresh seafood and filet mignon. Although quite pricey you may want to save your visit for a special occasion or just treat yourself anyway, you are on holiday after all! 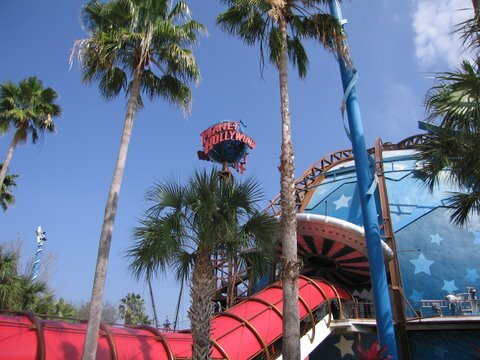 The House of Blues serves southern and American cuisine with a twist of Jazz and blues thrown in for entertainment. If you are looking for a quiet romantic meal it might be wise to give this a miss but if you are up for some raucous rock ‘n’ roll music or a Gospel brunch you will have a brilliant time and a thoroughly enjoyable meal. 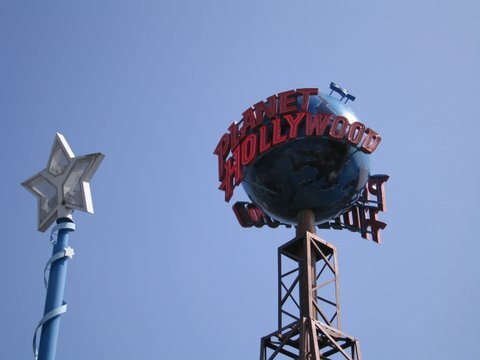 Everyone should visit Planet Hollywood at least once in their lives if only to view all the movie memorabilia inside the restaurant. 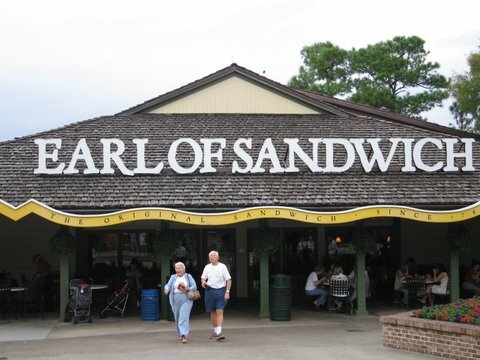 This one is the largest in the world and the meals are typically American including steak, seafood, salad and hamburgers. Children’s menus are available. 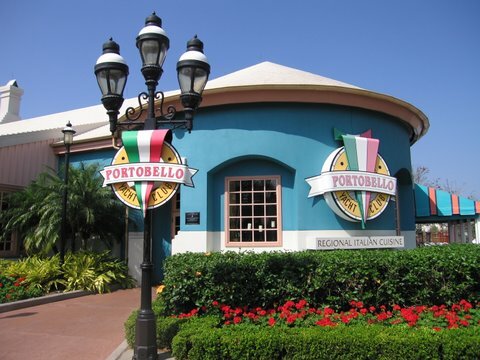 Portobello Yacht Club features mouth-watering Italian cuisine in stylish but comfortable surroundings. Diners may choose to eat inside or alfresco on the patio area. The tables are covered with white linen and are decorated with fresh flowers. Delicious garlic bread is served with both lunch and dinner with pasta and pizza being some of the restaurants best meals. 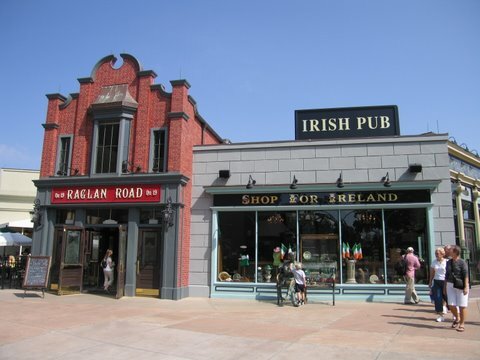 This authentic Irish Pub and restaurant offers a warm welcome in a down-to-earth atmosphere. 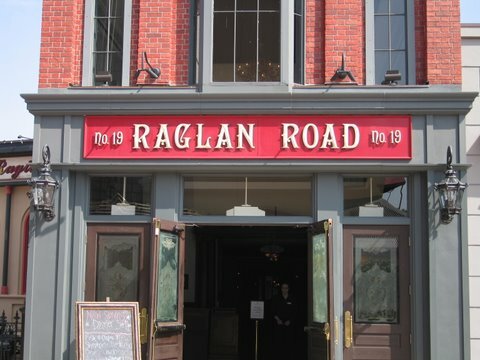 Serving the very best of Irish food, beers and spirits with Irish musicians and dancers each evening for entertainment. 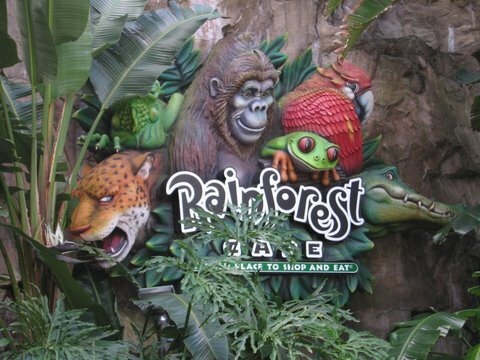 Dine amongst the elephants and gorillas in an indoor rainforest. Chicken, beef, seafood, pasta and pizza are some of the choices on the menu and if you order the special dessert “Volcano” everyone in the restaurant will know about it! Watch out for the sudden thunderstorms. 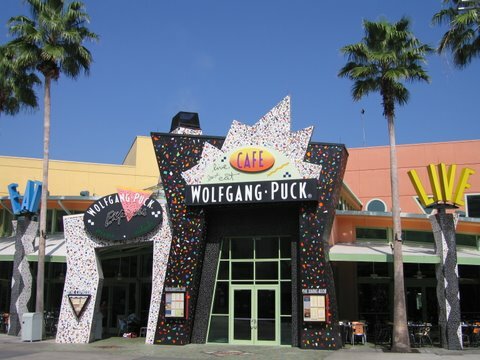 Wolfgang Puck’s features four unique dining experiences. The café is brightly coloured with terrific views of the lake, the upstairs dining room is more sophisticated offering the best steaks ever and fresh seafood, the sushi bar serves sushi (surprisingly) in a very elegant setting whilst the express service is for guests who are looking for quick affordable meal to go. For a Cape Cod style restaurant featuring a nautical setting over looking the Buena Vista Lagoon visit Cap’n Jacks. The menu includes fresh oysters and clam chowder, seafood and sandwiches. San Francisco' s world-famous Ghirardelli Chocolate serves sundaes, hand-scooped shakes, floats, malts and one or two-scoop cones. What can I say? A McDonalds is a McDonalds wherever it is! Hot, freshly made to order, gourmet sandwiches, delicious desserts and beverages to eat either inside or outside on the patio area. Viewed 3812 times since 19 September 2010.